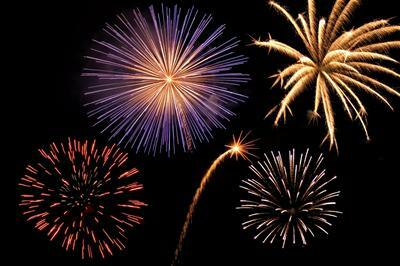 The City of Tulia will be hosting a fireworks display this year on July 4th at MacKenzie Park. It will begin shortly after dark between 9:45 & 10 pm. Come on out and enjoy the show! It shall be unlawful for any person, firm, corporation, or association to discharge, fire, or set off, or cause to be discharged, fired, or set off, any fireworks of any kind, torpedo, rocket, squib, grenade, firecracker or combustible fireworks of any kind within the city. It shall be unlawful for any person, firm, corporation, or association to exhibit or have in his possession, with intent to give away or sell or offer for sale or sell within the city, any squib, rocket, firecracker, torpedo, grenade, or other combustible fireworks of any kind. Nothing in this article shall be construed to apply to the sale, storage, or use of railroad track torpedoes, or other signaling devices used by railroads, nor to the sale, storage, or use of flashlight composition by photographers or dealers of photographic supplies, or prevent any public or private demonstration of fireworks of any kind if conducted under proper police supervision after first obtaining written consent of the city manager specifying the time and place of such display or demonstration.